would easily replace the power that we use during daylight hours. We purchased a Kyocera 140watt panel and constructed a mount that we could use on our dinghy davits. 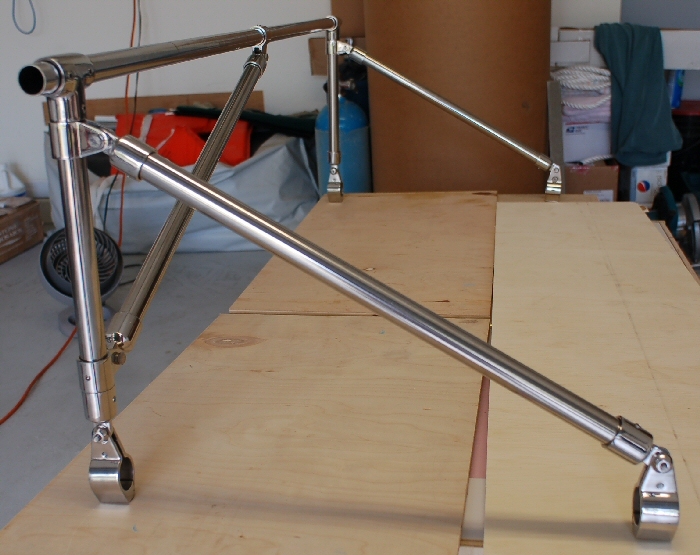 We fabricated the mounting brackets using stainless steel tubing and rail fittings while we were home for the Summer in Florida. 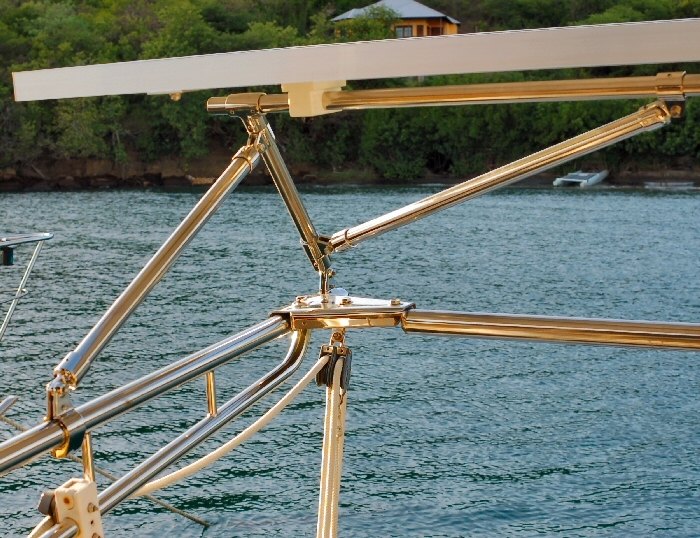 The design was such that we could install the support brackets on the top of our Kato dinghy davits. The panel swivels on the mount so that we can manually tilt the panel several times per day to take full advantage of the sun. After fabricating the mount and making sure that everything fit properly and that the controller was working we repacked the panel and disassembled the mount so that we could ship every back to Grenada. We chose the Flexcharge controller after looking at several installations and talking with the various makers of controllers. 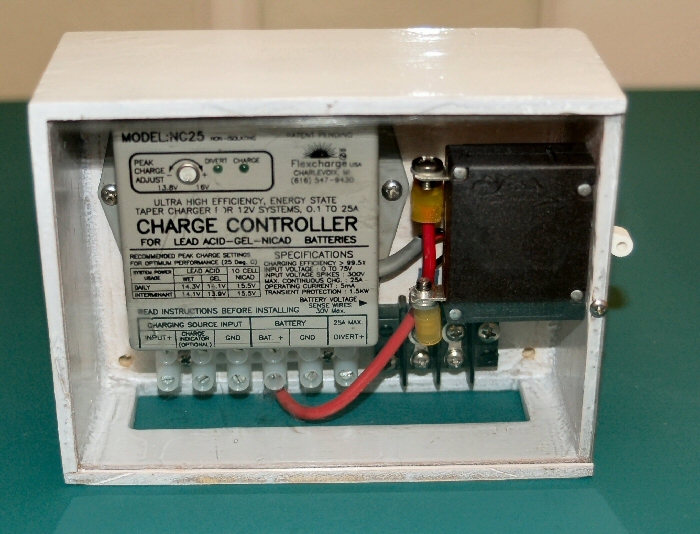 After returning to Grenada we unpacked our shipment, installed the mount and the panel and wired in the controller.